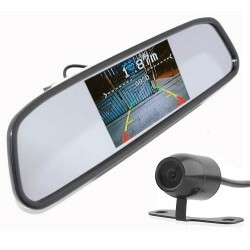 In Phase DINY Pack Wireless rear view mirror camera system with 4 sensor parking sensor kit included. The In Phase DINY603B-W is the latest in parking aid systems. 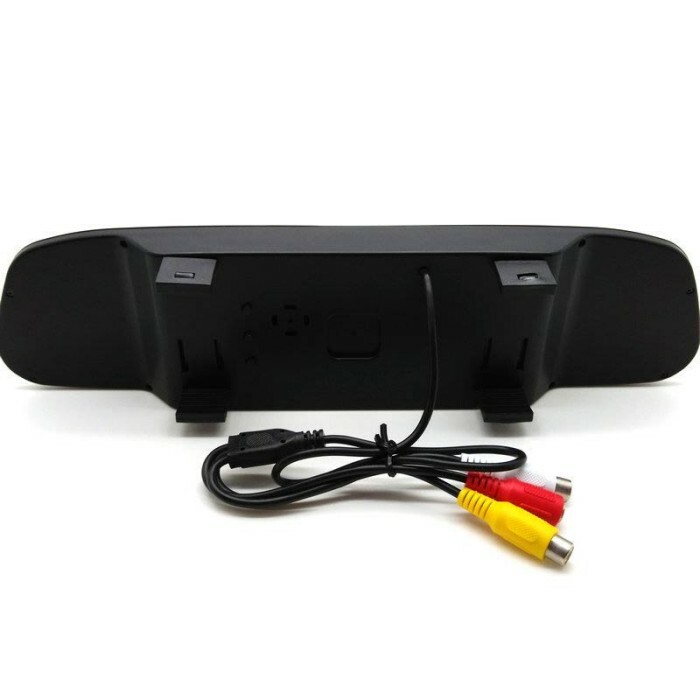 Wireless technology has been used to make it a fully universal product and the ability to be fitted to all vehicles on the road from small hatch backs to trailors and mini buses. Universal mount rear view mirror gives you a clear image on the built in stealth 4.3' TFT screen of what is behind the vehicle whilst reversing. Displayed on screen also are parking guide lines and distance indicator giving the extra confidence of what is going on behind the vehicle when manoeuvring. The fully colour 4.3' TFT is activated when the vehicle is engaged into the reverse gear and will automatically switch back to a high quality rear view mirror when the reverse gear is disengaged. 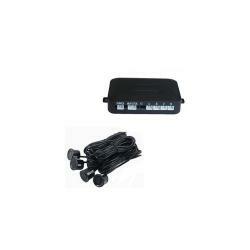 In Phase DINY200 4 Sensor parking assist system. 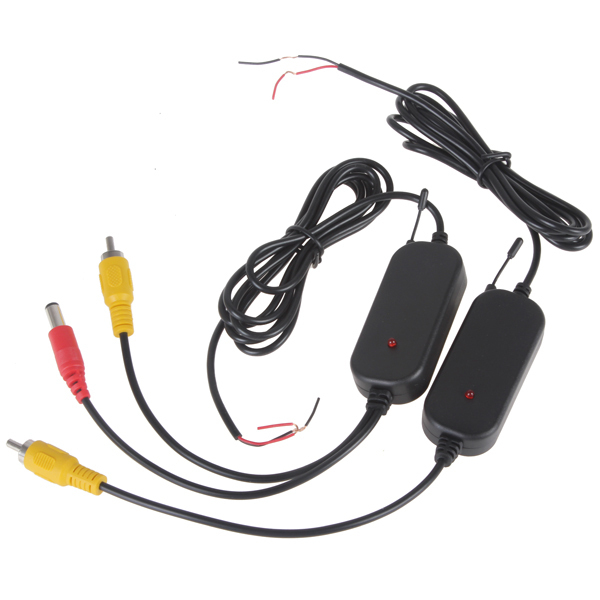 The DINY200 is the latest in expandable aftermarket parking assist system, the DINY200 is a 4 sensor parking aid kit which allows you to install the system and park with confidence using the high-tech processing control module. 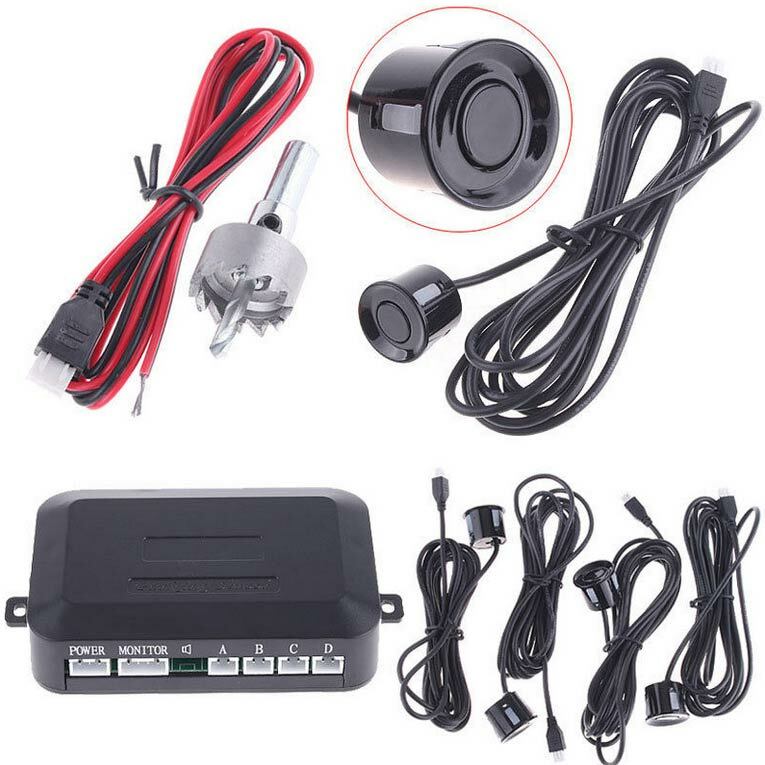 Alerting you with a 65DB alarm of any approaching obstructions or potential hazards. Flush mount sensors allow a professional discreet installation that people often pay hundreds for from the vehicle manufacturers. 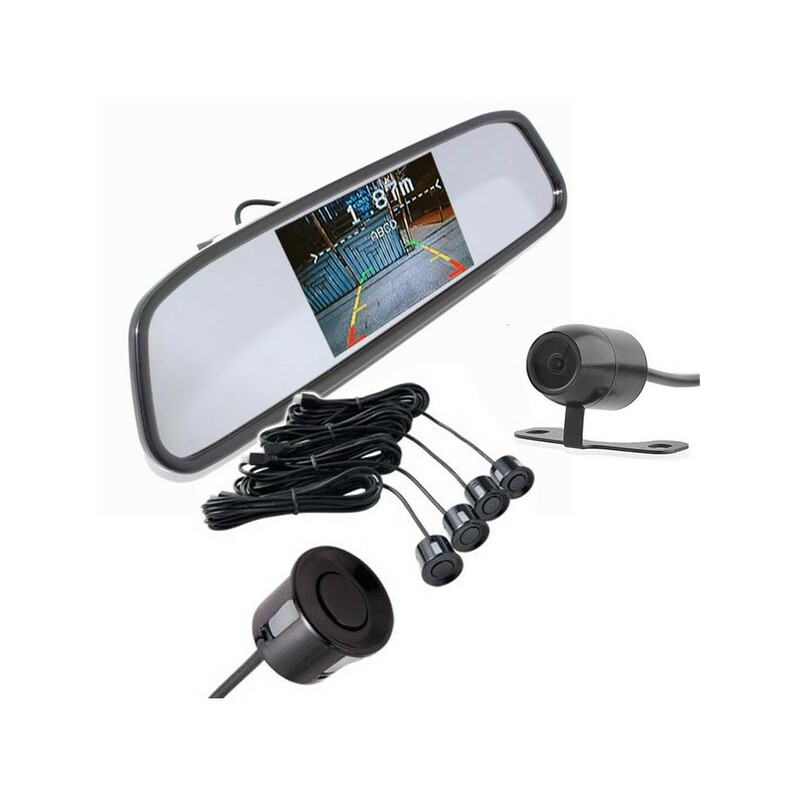 The DINY200 can also be used in conjunction with the DINY603B-W to give you a full audio and visual parking assist system giving you a rear view mirror screen with distance notifcation and audioable alerts. We can do this for you no problem, please contact your nearest store for pricing and additional info. How much will this cost with fitting for a 2009 fiesta? how much will it cost fitted.